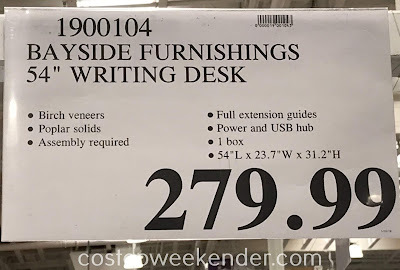 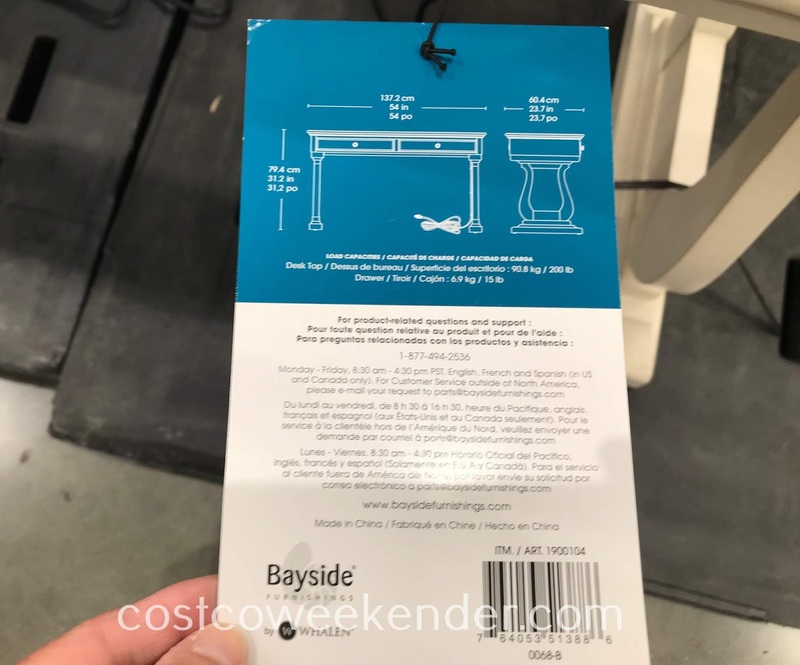 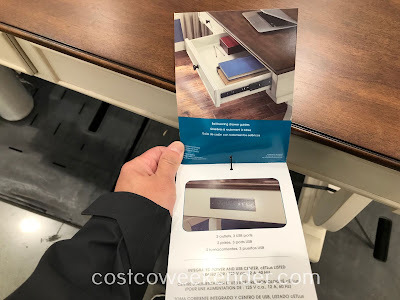 If you are looking for a desk that's not too bulky for your home office, then check out the Bayside Furnishings 54in Writing Desk from Costco. 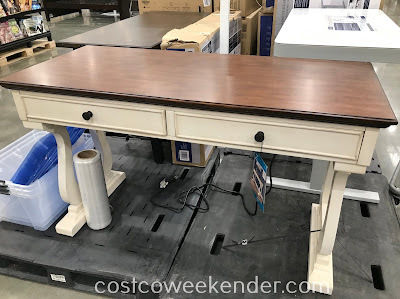 Today's desks are convenient in that they come with USB ports and what I like about the Bayside desk is that it also comes with 2 power outlets for your computer and monitor. I would probably still install a power strip onto the desk but the 2 included outlets will allow you to get started. The Bayside Furnishings 54in Writing Desk has a unique look as opposed to the modern, drab desks that you see nowadays. 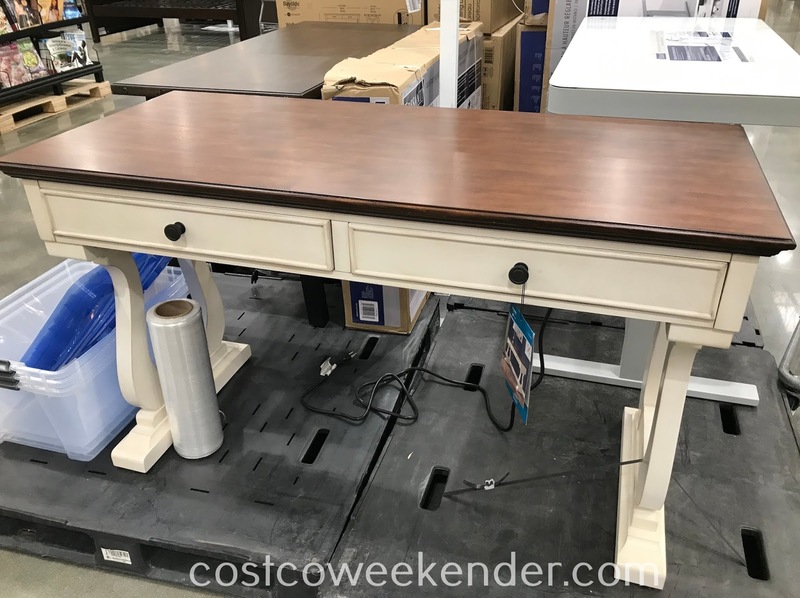 In your home office or in a corner of your bedroom, you may not have the room for a huge L-shaped desk. 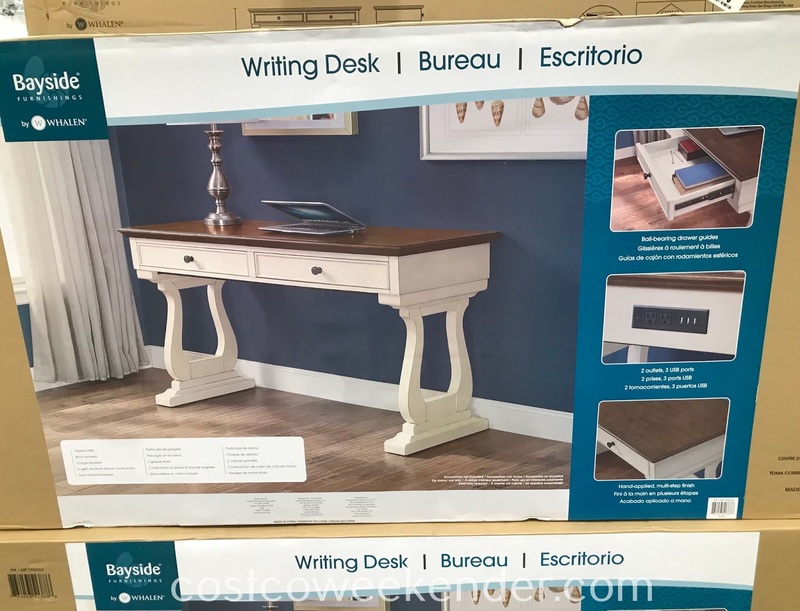 So the Bayside Furnishings 54in Writing Desk would be perfect to get some work done.